One of the qualities that make foraged foods so enticing is that the most valued are ephemeral, here for a short time then gone for another year. We covet wild edibles such as ramps, morels, chanterelles, and fiddleheads because their short time in our forests and fields should be cherished while it lasts. We even go as far as to hold entire festivals dedicated to some of these foods, coercing them into every kind of dish imaginable, and sometimes some that are not (I’m looking to you, ramp dessert from the Hudson Ramp Festival). 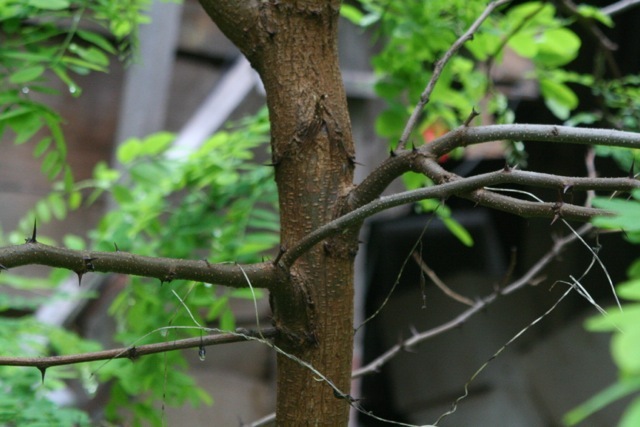 There is another hyper-seasonal wild edible that does not get the love it deserves, and certainly is not as well known as the edibles mentioned above, and that is black locust. As an edible black locust is somewhat limited. Only the blossoms can be eaten, and they’re only around for a very short time in late spring. Usually once they bloom they only hang out for a few days, maybe a week, and that’s if there’s no rain or high winds. For it’s limited nature the flavor that can be coaxed from locust blossoms is incredible and like nothing else. To me it’s like jasmine and vanilla, although others say fresh spring pea and vanilla. It’s rich, floral, and intoxicating, and unlike some other edibles it’s incredibly easy to find and harvest with no fear of endangering the overall population. If you live in the northeast it’s very likely that you’ve smelled locust blossoms, although you may not have realized it. The trees can grow to over 50’ tall, and often the blossoms are so far above our heads that they go unnoticed until they fall and carpet the ground in white. The trees are very distinctive looking, with deeply crenelated bark and short thorns that are very sharp. 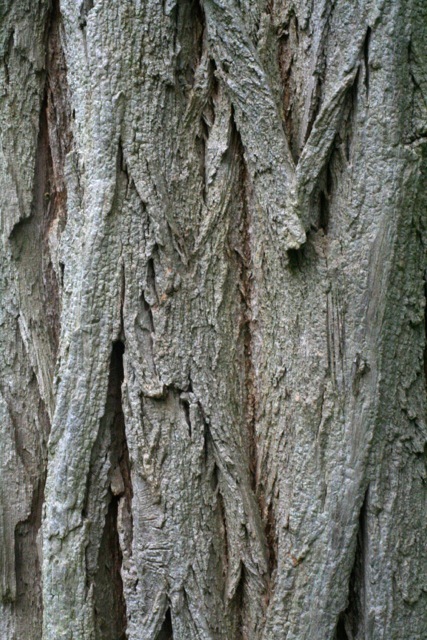 Often the young trees do not have the deep grooves in the bark, but still can be identified by their thorns and leaves. They have compound leaves that grow in oppose pairs of oblong leaflets down long stems. The flowers are very similar to pea blossoms, and the two plants are related. When the trees start to bear fruit in late summer it manifests itself as long, flat pods with dark oval seeds inside. While only the blossoms are commonly eaten, locusts are extremely useful trees. Their wood is very dense and resistant to rot, making them a favorite for fence posts and barn beams. There are still locust fences standing around the farm that my grandfather built fifty years ago. The wood is also excellent as firewood, and is incredibly fast growing. This means that a crop of firewood or fence posts can be grown within 5-10 years, rather than taking decades. When the trees flower there are so many blossoms that they constitute a major source of nectar for honeybees. The honey produced from locust blossoms is very light, delicate, and floral, and is highly valued. In short, this is one of my favorite native species as it has so many varied uses. Even though the flowers are only out for a short time they’re very easy to harvest and preserve. They grow in long clusters on a single stem. The easiest way to harvest is to find a friend to help. One person holds a bucket or tray under the blossoms while the other bends the branch down and uses their fingers to pinch the stem and strip the flowers off the stem. This should be done with a single long, smooth motion, like stripping thyme or rosemary leaves, not by pulling individual blossoms off. Locusts often reproduce via suckers, so if you find a stand of large locusts look around the periphery for smaller ones that are within picking height. As with all flowers, it’s best to pick them in the morning before the sun heats them up and causes some of the volatile flavor and scent compounds to evaporate, but I’ve picked them at various times throughout the day and have been satisfied with the results. When it comes to cooking with the flowers one traditional French or Italian preparation is to batter them and fry them as fritters. The flowers are tasty eaten out of hand or fried as fritters, but my favorite application is to turn them into a syrup. This is done by simply steeping them in simmering water for 15-20 minutes, then adding sugar to make a simple syrup. The resulting syrup really brings out their unique flavor and makes it easy to apply in myriad ways. It makes a very unique and refreshing soda when it’s mixed with seltzer. Likewise, it’s excellent in cocktails, iced teas, and lemonade. I’ve added it to ice cream base to make a silky rich locust blossom ice cream, churned it into sorbet, and used it to flavor fruit salad. The syrup can also be water bath canned, making it shelf stable for up to a year. One of my favorite ways to enjoy the syrup is to use it in a Middle Eastern dessert called namoura. 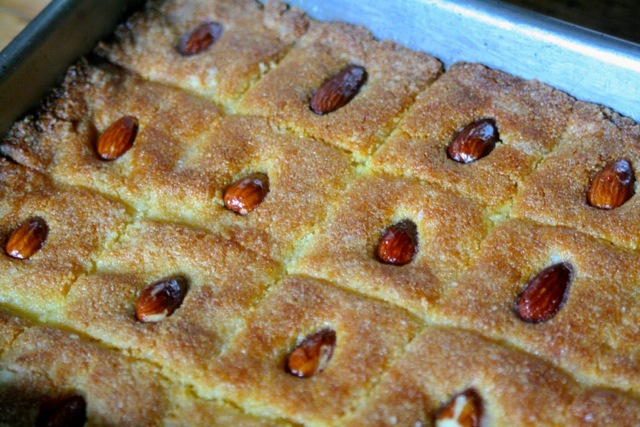 Also called basboussa, shamali, revani, and hareesa depending on which Middle Eastern country you’re in, it’s a cake made from semolina and yogurt. Once the cake comes out of the oven it’s drenched with sugar syrup that’s been flavored with rose and orange blossom waters. I like to substitute the locust blossom syrup for the traditional flower flavors used in the Middle East. The resulting cake is dense, syrupy, and delicious, as well as being fast and easy to make. Each piece is traditionally garnished with a blanched, peeled almond, but you can also use skin on almonds if you prefer. This recipe makes a delicious floral syrup that is excellent for cocktails, sodas, ice creams, and cakes. The syrup will last two weeks in the fridge, or up to a year if canned in mason jars. Bring the water up to a simmer in a large pot. Add the locust blossoms and cover. Allow them to steep for 15-20 minutes, then strain through fine cheesecloth, discarding the strained blossoms. Measure out the remaining locust blossom tea and return it to the pot. Add an equivalent amount of sugar and the lemon juice. Bring to a boil and stir to ensure all the sugar is dissolved. If you’re refrigerating it allow it to cool before packing into bottles or jars. If you’re canning it to preserve it fill sterilized jars while the syrup is still hot and process in a water bath canner for 10 minutes for pints and 15 minutes for quarts. Preheat the oven to 400*F and grease a 9”x13” baking dish. If you have a jar of tahini in the fridge it’s traditional to use the oil that floats to the top to grease the pan, but butter or olive oil works fine too. In a bowl or large measuring cup combine the yogurt and baking soda and set aside until it doubles in size, approximately 10 minutes. Meanwhile, combine the semolina, melted butter, sugar, and salt and stir well. Add the aerated yogurt and mix well to incorporate it. Turn the batter out into the greased pan and use your hands to press it down and smooth out the top. Score it into small 2” squares with a knife, then press an almond into the center of each square, if using. Bake until golden brown on top, approximately 30 minutes. Meanwhile combine the locust syrup and ½ c sugar in a small saucepan and heat while stirring until the sugar dissolves. Remove the namoura from the oven and immediately pour the sugar over the top. Once cool cut on the scored lines to separate the cake into small pieces. These are best served with coffee and a small scoop of ice cream.